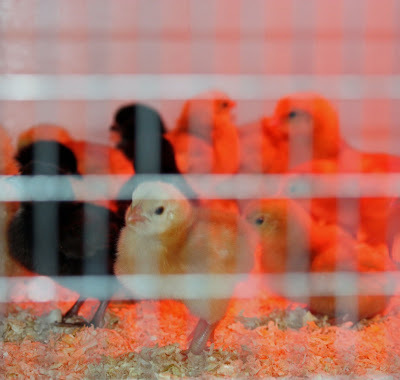 Spring chicks on sale at Zamzows - a local feed store and nursery. Oh boy, I guess that means we'll be taking the girls there this weekend. Oh well, their snake needs fish anyway. (they caught a garter snake in our back yard a few years ago and he just loves fish).